The vibrational state (VS) is a technique to reach a homeostatic, or balanced, state of the energosoma. Additional details and a step-by-step procedure is presented in a separate article about the vibrational state. In this article we will focus on the effects of the VS, both for the energy body and in terms of consciousness evolution. While it is common to use analogies involving physical sensations when trying to explain the energy body and its workings, this must be done with the awareness that analogies are limited and that energy sensations may not be describable in physical terms. The lack of specific and universally accepted terms for energy sensations, however, make references to “buzzing”, “prickling”, and “electricity” useful as a didactic starting point. Speaking in terms of health and illness – or balance and imbalance – is also a common approach. With this in mind, we can say that the Vibrational State promotes energetic health and contributes to the overall health of the consciousness. The vibrational state indicates a state of homeostasis of all your energies and chakras. It tells us that our energies are balanced and in a healthy state at that moment. Since the energosoma vitalizes the physical body, working with the vibrational state can also promote physical health. Your whole energosoma needs to be unblocked for you to reach a vibrational state. If you manage to reach a VS, it is a clear indicator that your chakras are unblocked at that moment in time. A very important effect of the vibrational state is that it disconnects you from external non-physical consciousnesses (or extraphysical consciousness, spirits, ghosts). This is a topic for a much longer conversation and has important implications in terms of evolution of the consciousness. I will summarize the aspect above by saying that the VS is an indicator of a state where your thoughts are not being influenced by another consciousness, physical or extraphysical. So, whatever you think during a vibrational state is a result of your own cognitive structures. This is the reason why a VS is recommended before a major decision, analysis or reflection work: it gives you a starting point where your own thinking prevails. Reaching the vibrational state also serves to deassimilate (detach) external energies, cleansing your own energetic system from energies absorbed from people and places you got into contact with. As such, the VS can be quite useful as a prophylactic measure after activities involving energies, psychic development, and after interacting with people with “less balanced” or counterproductive pattern of energies. Mastering the deassimilation of energies is vital for those who work with helping others with energies, as it is the case with Reiki and other practices. The same applies to those who work reading people’s energies. The vibrational state can be a tool to reliably and consistently deassimilate energies. Without deassimilation, a higher chance of “cross contamination” can happen, meaning that energies of one client can influence the next one. Negative influences can also be picked up by the person providing help through bioenergies, over time creating issues that can migrate to the physical body and compromise the overall health of the healer. Professionals that interact with the public can also benefit from the deassimilation effect of the VS, especially if the interactions include energies with a pattern of anxiety, conflict or aggression. Disconnecting energetically from a troubled customer that just left, and making sure that no energetic traces remain in your energosphere will help you to stay healthy, both physically and energetically. It will also prevent you from passing any counterproductive patterns of energies on to someone else. Attempting to reach a vibrational state also serves as a “warm up” for any activity involving psychic perceptions and psychic development, helping you to relax, focus, and “tune into” the exercises that will follow. There is an out-of-body experience (OBE) technique aimed at attempting to reach a vibrational state which is so intense that your psychosoma (astral body) takes off. Sensations of vibrations throughout the body have long been reported as a sign that the OBE is about to start. 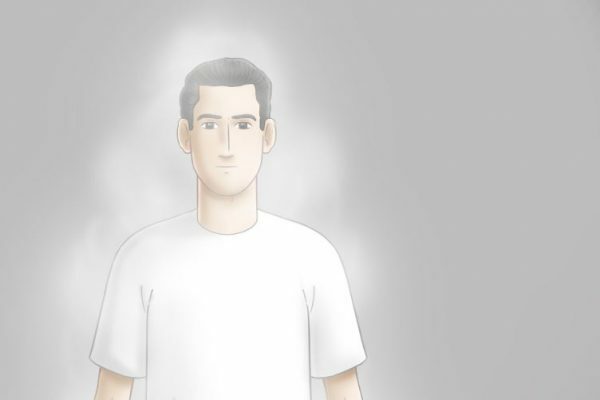 Authors like Waldo Vieira, Robert Monroe, and Robert Bruce have made several references to such vibrations preceding the take-off of the astral body. Learning to reach the vibrational state at any relaxation level, body position, and in any environment, is a key step in both consciousness and psychic development. It can help us to (a) deassimilate extraneous energies, (b) disconnect energetically from other consciousnesses, and (c) improve the health of our energosoma. All three extraphysical effects have the potential to promote physical health and overall wellbeing, so we invite you to try it out and have your own experiences! Rodrigo Medeiros is a researcher, author and instructor of conscientiology – a neoscience of consciousness. He has created the “Clairvoyance Workshop” and authored the book "Paravision: Theory and Practice of Visual Clairvoyance", presenting practical techniques to develop the ability to see auras, energies, and other dimensions. For over two decades Rodrigo taught classes in Europe, USA, Brasil and Mexico, published articles and presented in debates and scientific events dedicated to the exploration of psychic abilities, self-knowledge, and consciousness research. Rodrigo volunteers for Reaprendentia and currently lives in London where he continues to research and teach techniques to produce personal experiences with psychic abilities. His main focus is extracting deeper self-knowledge and personal growth from such experiences. Auras become visible when you activate your visual clairvoyance. Developing the ability to see auras, energies, and non-physical dimensions in general can help you achieve a better understanding of your surroundings and get more out of life experiences. We can help others with bioenergies. This article describes the Personal Energetic Task - PENTA - a multidimensional, daily, personal, energetic task that consists of a technical transmission of consciential energies from you, assisted by helpers, directly to other people.